Ace Atkins has gotten to be one of MysteryPeople’s good friends. Not only is he one of the best writers currently out there (Edgar nominated in the past two years), he’s a great supported of the genre, bookstores, and all around good. At 7PM, May 31st, between our annual Shiner Bock and BBQ get together, I’ll be moderating a Q&A with Ace for his signing of two new books, The Broken Places with his original series character Quinn Colson and Wonderland, his second book that continues Robert B Parker’s Spenser series. To get an idea of the discussion, here’s a quick interview we did recently. MysteryPeople: Do you think Quinn has changed any since The Ranger? Ace Atkins: Perhaps a bit more understanding? Ten years as a U.S. Army Ranger can harden a man. But returning home, being with his family, and seeing problems on home soil humanizes him a bit. MP: A tornado plays a major part in The Broken Places. Since that is a disaster many have experienced and all have seen on the news, how did you approach writing it? AA: A tornado touched down maybe a mile and a half from my farm two years ago. After tearing through a small community called Pine Flat, it skipped over to Smithville, Mississippi. The entire town of Smithville was destroyed. The story of Jericho is probably only half of what happened to Smithville. That entire town was destroyed and has yet to recover. A year later, the Memphis Commercial-Appeal published a retrospective of the tornado that included wonderfully written first-hand accounts. I owe a lot to that reporter, Kristina Goetz. MP: In this series you tackle a subject some authors try to avoid, religion. Can you write about the South without dealing with it? AA: I am not what I would call a religious person. But as a Southern writer, you can’t avoid religion. It’s in every aspect of Southern life, whether it should be or not. Every political campaign in Mississippi tries to show their candidate is more of a Christian than the opponent — often overshadowing the real issues. Some of the religion is true and genuine, too. And as a writer, you must write about both. MP: Country songs and musicians, both old and new, get referenced frequently in the book. Does the form have a particular influence in this series? AA: Music has played a huge role in my writing since my very first novel, Crossroad Blues. I’ve learned a lot about writing from musicians I admire — from Robert Johnson to Johnny Cash. When I first started writing The Ranger, I wanted it to read like/sound like a Johnny Cash ballad. MP: One of the main characters in Wonderland is Sixkill, the Cree and PI in training who Parker introduced in his last Spenser novel. Did you feel like you had more license with this character than some of more established ones in the series? AA: That’s a great question. Yes, in some ways I think I am able to complete the idea of a character that Parker created in his last work. There is not much to discuss about Hawk. Hawk is Hawk. And I wouldn’t try and tell you anymore about him. Sixkill has lots to tell me and readers. And is the perfect character to complement this stage of Spenser’s career. MP: Wonderland reminded me of me of one of your favorite Spenser books, Early Autumn, in by having Spenser mentor somebody, you learn about him and his code. What did you want to get across about who Spenser is? AA: Spenser taught Paul how to live his life on his own terms. He’s teaching Sixkill the same lessons but compounded by making a living and surviving in a violent world. One does not become Spenser or Hawk overnight. He is a work in process. Spenser is passing down his talents and skills. For him to want to work with Sixkill tells us more about Sixill than Spenser. Spenser is not a man to waste his time. MP: After writing in the world’s of Spenser and Quinn Colson what similarities have you found in Boston and Mississippi? AA: Ha! Actually many. Deep religion. Dirty politics. You don’t step on a man’s honor in the deep South or South Boston. Southerners and people from Boston all come from the same place pretty much. Court Merrigan’s experiences around the country and around the world are what he uses to flavor his writing. One of the best examples is Moondog Over The Mekong published by Snubnose Press. For Crime Fiction Friday Court suggested this little, “The Last Ladder”, published in Plots With Guns, as a good example of his work. 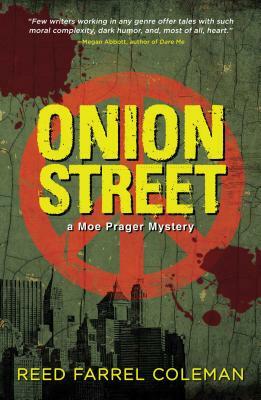 Reed Farrel Coleman’s Onion Street, is our Pick of The Month for good reason. Both well plotted and poignant, it takes Reed’s Moe Prager character and gives us his coming of age in 1968 through an involving mystery. We got a chance to ask Reed a few questions about the book, the Sixties, and Moe, for a fun and interesting MysteryPeople interview. MysteryPeople: In the Moe series, he refers to his past, but there isn’t much detail. Were you waiting to do this book? Reed Farrel Coleman: I never planned the books in the series. I never sat down and said, “This is going to happen then,” or “Such event will be revealed in book 7.” It’s just not my nature to write that way. I wrote the Moe books as a kind of reflection of where I was in my life and where I had been. That is not to say they are strictly autobiographical. They aren’t. I just liked seeing where I was, the world was, and what I felt like exploring at any given time. Having said all that, I knew there were only going to be nine books in the series and that next year’s The Hollow Girl would be a book that took place in the here and now. It occurred to me that I had never really explored Moe’s becoming an adult. I thought the time had come for that because I’d just watched my children pass through that stage and I was nostalgic for that time period in my own life. It was a dangerous thing to do, to tackle a prequel and the 60s because they are often done so badly. But what the hell, right? MP: Onion Street and Walter Mosely’s Little Green, which also deals with the late sixties counter culture, both came out this week and other crime fiction writers of your generation like Libby Fischer Hellman (Set The Night On Fire) and Edward Wright (From Blood) have used it lately for their novels as well as Robert Redford in his new thriller. Other than it being a the time period of Moe as a young man, what prompted you to look at that era? RFC: Well, I think most things written about the 60s focus too much on the incredible chaos of the times and not the lives of the people who actually lived through them. I lived through them as a child and as a young teen, so I tried to see that time through the eyes of my older brothers and their pals. It also made me go back and look at Brooklyn not through my world wearied eyes, but my fresh eyes. I wanted to remember Brooklyn as I first saw it, long before it became the coolest place to live. Do you know that in France when they think something is hot or chic, they call it Tres Brooklyn or very Brooklyn. That was unimaginable to me in the Brooklyn I grew up in. I wanted to look at that world. MP: What do you think is the biggest misconception about the period? RFC: Great question. As I was telling my kids recently, just in the first 6 months of 1968, the following events happened: the Pueblo Incident, the Tet Offensive, Apollo Missions 5 & 6, Martin Luther King Jr and Bobby Kennedy were assassinated. 6 months! Are you kidding me? Yet in spite of that, my dad got up every morning and went to manage his grocery store. My mom still shopped and cooked and sent us off to school. My brothers went to college and I went to PS 209. I played stickball after school. Life went on. That was the thing. Life went on. Not everyone wore love beads, granny glasses, bell bottoms and long hair. Life shouldn’t be reduced to cliché and neither should books. MP: I thought Lids, the burnt out prodigy turned drug dealer who helps out Moe, is one of your best supporting characters. He seemed so painfully real. Was he inspired by some of the people you grew up around? RFC: I went to high school with some totally genius kids who never seemed very happy. I mean, is anyone very happy in high school? In any case, it was easy for me to remember those kids and extrapolate a character like lids. Lids, by the way, for those of you who didn’t live through the 60s, was a term for an amount of marijuana. You bought lids, not ounces or nickel bags. Research. I swear. I was too young to know that myself back then. MP: Many of the Moe books take place in recent history. What is a key thought to have when writing about a period the reader may have lived through? RFC: As I referenced earlier, make it about the characters’ lives, not about the historical touchstones. Don’t be heavy handed in your depiction of an era. Allude to it without shoving it in your readers’ faces. In the early books I did this by having Moe make predictions about the relevant new technologies and always getting it wrong. I do it in Onion Street as well. I think I learned that lesson because I grew up reading a lot of sci-fi and many of the predictions those writers made were totally erroneous. MP: Can you give a hint about what you have in store for Moe in the last book? RFC: I’d be glad to. In The Hollow Girl, Moe is in a bad way. A woman out of Moe’s past hires him to find her missing daughter, but he’s not convinced she’s even missing. As Moe tries to pick up her trail, he confronts some hard questions about his past and about the rest of his life. I dare not say more. I can tell you I think it will be a fitting end to the series. George Wier writes books that serve as throwbacks to early action novels for today’s audience. His Bill Travis series (now in print versions, available at MysteryPeople) earned a large online following. Even when he’s writing with another author, Wier’s voice still carries through; striving to entertain the reader as much as he can. His Bill Travis is something of a Texas Travis McGee. A jack-of-all-trades, master of some, he tells us in the first book, The Last Call, that he’s in the business of helping people. This work usually gets him in trouble with both sides of the law and in the middle of a lot of gunfire, dealing out as much Lonestar wit as he does lead. It’s Wier’s unapologetic sense of fun that makes these books stand out. Two of the influences he cites for the series are Lester Dent’s (aka Kenneth Robeson) Doc Savage series and the Seventies PI show, Mannix. Travis’ personality and forward momentum are a priority in the writing. In The Last Call, he throws everything at the reader but the kitchen sink, including dingos that eat more than babies. 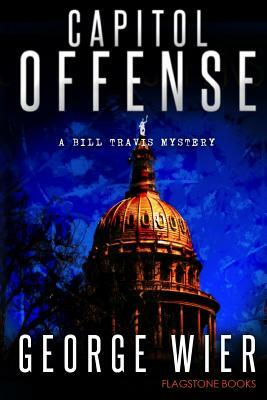 His second (and my personal favorite), Capitol Offense, starts with Bill being told by a death row inmate that he blew up Vietnamese fishing boats in Galveston Bay for the man who is now governor and then getting involved in an assassination plot. It’s story telling with bravado. What makes the books unique is the Texas take on pulp adventure. You hear Bill’s twang as he narrates. And while he operates in Austin, his adventures lead him through many of the state’s small towns. The third book, Long Necks And Twisted Hearts, has him back in his East Texas home town. The state’s past plays an important part role in many of the stories. It could be said that George Wier uses Texas history to shade his tales the same way James Rollins uses science. This summer will see a collaboration George did with Milton T Burton, Long Fall From Heaven. 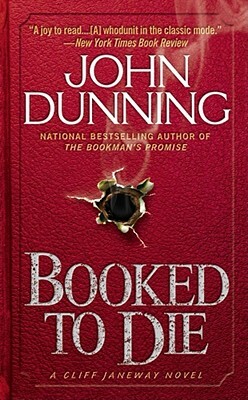 Finished after Mr. Burton’s death, the two use their love of Texas history to join their writing in a story about an ex-lawman turned security firm owner and his ne’er do well friend and employee. They have to solve a series of killings in nineteen eighties Galveston by delving into a sordid family past during World War Two. The book has a bit more sober tone than the Bill Travis books, yet carries Wier’s strong pace and flow. The blend of the two authors’ voices is pitch perfect. George Wier is the writer as craftsman. He knows the right approach and style to put on a tale for maximum fun. I’m looking forward to seeing what he takes a hammer and saw to next. 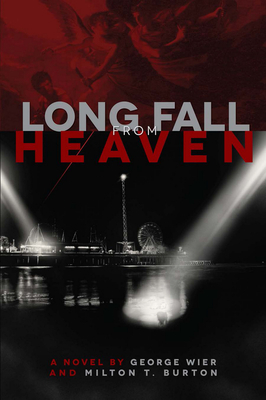 You can get to know George June 2nd at 4:30PM, as he signs and discusses Long Fall From Heaven here at BookPeople. Ace Atkins’ Quinn Colson series has gotten to be one of my current favorites, right up there with Walt Longmire and Moe Prager. Following the army ranger-turned-sheriff of his hometown of Jericho, Tibbehah County, the books are influenced by the Southern set action films of the Seventies that starred the likes of Burt Reynolds, Joe Don Baker, and Bo Svenson, but updated for today. In his latest, The Broken Places, he aims for an all out blockbuster. The book starts out with an exciting prison break, partly on horseback. The three prisoners are out to get back the money from the armored car robbery they pulled; their destination, Jericho. It isn’t as if Quinn has enough trouble. Jamey Dixon, a convicted murder has returned to town after pardoned by the outgoing governor, setting up a church in town. Ophelia, the daughter of one of his supposed pressures Quinn to put back in prison. As much as he’d like to, the situation becomes complicated when Dixon becomes involved with his sister Cady. Dixon is also the reason those convicts are headed to Jericho. What comes across in this book is Atkins skilled hand at delivering a strong piece of entertainment. Fans of the television show, Justified, will love the convicts as well as Quinn’s nemesis, town kingpin Johnny Stagg. Their dialogue is ripe with humor, Southern homilies, and menace, often all at the same time. Atkins gives us some well placed action set pieces. A standout is a chase on four wheelers through the woods. If it wasn’t enough, we even get a tornado. None of this feels like an onslaught, there is a flow to all of it. Even moments with Quinns’s friends and family are weaved in for a perfect balance of character, plot, and honest looks at faith and redemption. By the end it has a feel of a solid action film crossed with a Johnny Cash song. The Broken Places is further proof of Atkins talent. 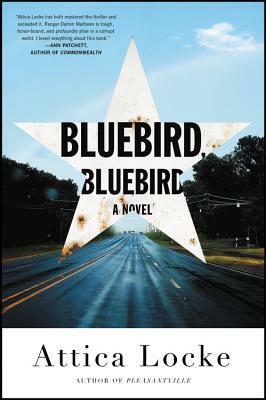 He takes to a world off a rural route that sits between a classic hard boiled novel and the realities of current small town America, breathing life into it with detail and dialogue. It’s a story of white hats and black hats, but everybody’s brim is a bit worn and dirty. The Broken Places is escapism at it’s smartest. 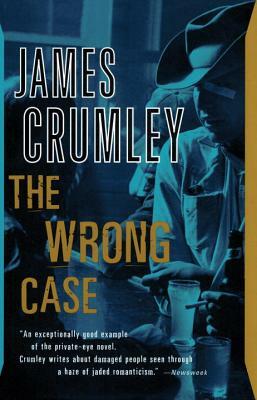 Our next History Of Mystery Class takes another look at James Crumley with his first private eye novel, The Wrong Case. It features his ne’er do well Montana detective, Milo Milodragovitch, who takes on the case of a missing grad student, mainly because he’s enamored with the red headed sister who hires him. Crumley subtlety parodies the genre as he embraces it fully. The Wrong Case is a full-on seventies crime novel. It has the feel of Sam Pekinpah directing a Chandler tale, with a Hunter S.Thompson view of America. Crumley’s modern west is filled with barflies, sons of the pioneers, and hold out hippies. It is the last chance of American freedom a time is fading fast. The discussion starts at 6PM, Sunday June 2nd on our 3rd floor. Copies of The Wrong Case are 10% off to those who attend. We’ll be taking a break in July, but will be back in August. Carl’s investigation will force him to cross paths with a woman stuck in a desperate marriage- her husband refuses to tell her where he goes, what he does, how long he will be away. For days on end she waits, and when he returns she must endure his wants, his moods, his threats. But enough is enough. She will find out the truth, no matter the cost to her husband—or to herself. Carl and his colleagues Assad and Rose must use all of their resources to uncover the horrifying truth in this heart-pounding Nordic thriller from the #1 international bestselling author Jussi Adler-Olsen. The remarkable third novel in the “harrowing” (Associated Press), “killer” (Minneapolis Star Tribune) new series about the real Deep South from the New York Times–bestselling author. A year after becoming sheriff, Quinn Colson is faced with the release of an infamous murderer from prison. Jamey Dixon comes back to Jericho preaching redemption, and some believe him; but for the victim’s family, the only thought is revenge. Another group who doesn’t believe him—the men in prison from Dixon’s last job, an armored car robbery. They’re sure he’s gone back to grab the hidden money, so they do the only thing they can: break out and head straight to Jericho themselves. Colson and his deputy, Lillie, know they’ve got their work cut out for them. But they don’t count on one more unwelcome visitor: a tornado that causes havoc just as events come to a head. Communications are down, the roads are impassable—and the rule of law is just about to snap. Ruth Zook returns home to Holmes County, Ohio, carrying a heavy suitcase and a heavier heart. 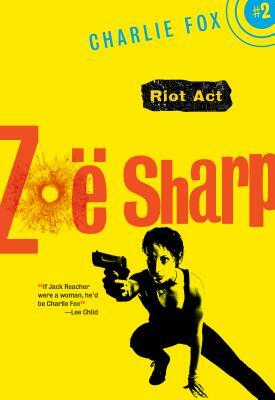 Coerced into becoming a drug mule, Ruth retaliates by destroying her illicit burden and pays for it with her life. When Fannie Helmuth confesses that she was similarly coerced, Sheriff Bruce Robertson realizes that the drug dealers’ operation reaches all the way to Florida’s Pinecraft Amish community. He immediately moves the investigation South, where more innocent lives are in jeopardy. Like the bestselling books in Craig Johnson’s Walt Longmire series, The Names of Our Tears is a riveting mystery loaded with the page-turning thrills and suspense that readers love.